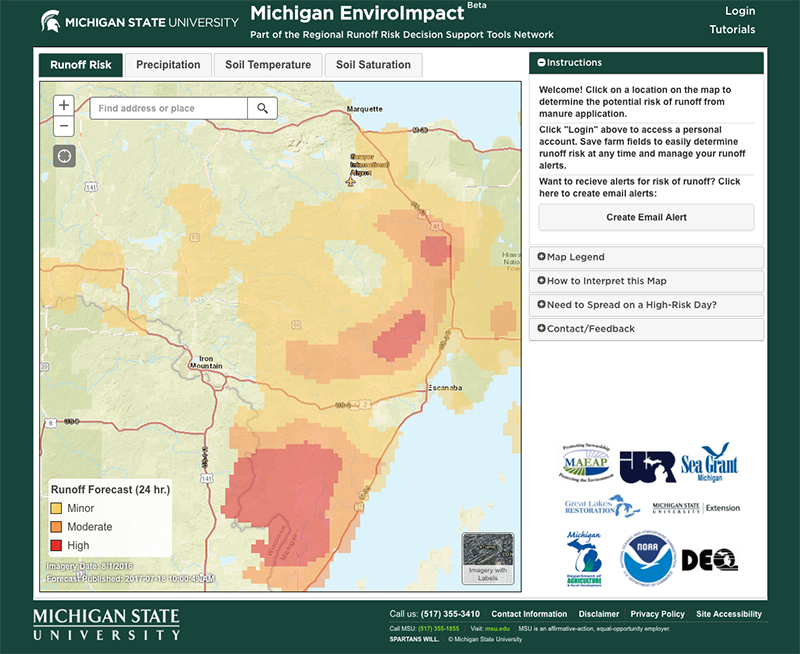 The EnviroImpact Tool is an online tool that farmers can use to reduce the amount of nutrients in runoff from their farms. Excess nutrients in water can lead to algal blooms, lower dissolved oxygen, and reductions in water quality. The tool provides maps that show short-term runoff risks for daily manure application planning purposes. It takes into account factors such as precipitation, temperature, soil moisture, and landscape characteristics.